Jen O’Malley Dillon – President Barack Obama’s Deputy Campaign Manager – is to deliver a public talk at Queen’s later this month, when she will cover women in politics, the opportunities and challenges ahead, and what this all means for 2020. 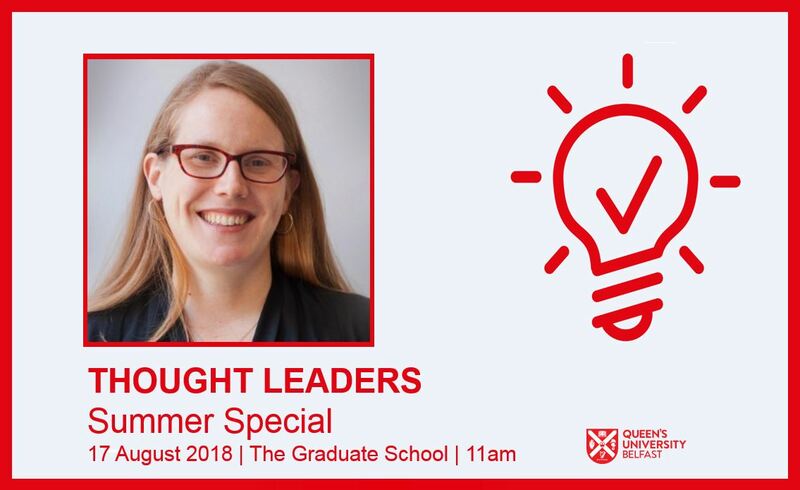 The event, which is free to attend and open to the public, will take place on Friday 17 August, 11.30am-12.30pm, in The Graduate School at Queen’s, as part of the Thought Leaders summer programme. A veteran organiser, political campaign manager and the founding partner of Precision Strategies, Ms O’Malley Dillon served as Deputy Campaign Manager for President Obama’s re-election campaign. During this time she oversaw the largest field organisation in the history of presidential campaigns, voter protection and education programmes, and political outreach. She led the development and use of data analytics to target, register, persuade and mobilise voters. In 2008, she served as the 2008 Obama campaign’s Battleground States Director, where she helped usher in President Obama’s 365 electoral votes, winning all but one of his contested battleground states. Ms O’Malley Dillon also worked with Canadian Prime Minister Justin Trudeau in the early days of his bid for the role, serving as his lead consultant and consultant to the Liberal Party of Canada. Providing strategic guidance and support on a range of issues, including data-driven organising, capacity building and plotting the party’s path to victory, Trudeau’s victory is widely regarded as one of the biggest moments in Canadian political history. Named in TIME’s 40 under 40 in 2010 and, in 2012, in Fortune’s 40 under 40 Electors, Ms O’Malley Dillon has been referred to as a “field organizing whiz”. In her forthcoming address at Queen’s which is entitled: There is Hope: From Obama to the Resistance and Beyond, Ms O’Malley Dillon will discuss what was central to President Obama’s victories, women in politics, the opportunities and challenges ahead and what this all means for 2020 and the future, both in the US and globally. The mother of twin daughters Mary and Katie, who were born exactly one week after the 2012 election, Ms O’Malley Dillon is a native of Boston, currently living in Washington, D.C., and is a graduate of Tufts University. Click here to register your attendance. Places will be allocated on a ‘first come’ basis. Media enquiries (including interview bids) to Zara McBrearty at Queen’s University Communications Office, telephone: +44 (0)28 9097 2642.